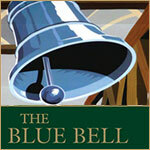 Here at The Bluebell we love to see people get together for all occasions. We have a great space for you to all come together for your private parties. Whether its for christenings, retirements, baby showers or funerals, our staff help you host the day. We have a great range of buffets available to you and obviously a complete bar. What more could you ask for? Whether its inside our raised area, complete with booths , or outside on our terrace for when the sun shines on Monton, we can cater to you for seating up to 50 guests but we can accommodate more throughout the rest of the pub. Check out our delicious function menu below including buffet options and nibble boards. Please call in and see us, or contact us by phone or email.